牛杰, 卜雄洙, 钱堃. 一种面向移动机器人导航的自然路标提取方法[J]. 哈尔滨工程大学学报, 2019, 40(4), 844-850. DOI: 10.11990/jheu.201709095. NIU Jie, BU Xiongzhu, QIAN Kun. A method of extracting natural landmarks for mobile robot navigation[J]. Journal of Harbin Engineering University, 2019, 40(4), 844-850. DOI: 10.11990/jheu.201709095. 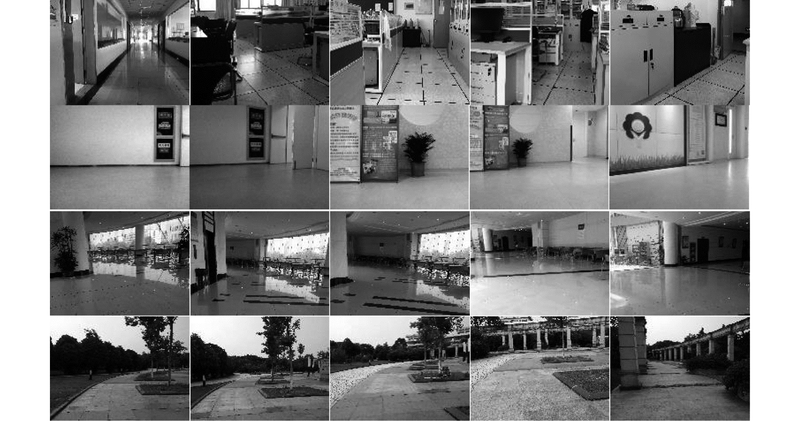 Abstract: Owing to the shortage of artificial landmarks in robot localization and navigation applications, a method of extracting a significant landmark is presented on the basis of frequency domain characteristics.First, this method used the image entropy technique to adaptively select the factor to smooth the image.Then, salience maps of the three-channel color space were obtained by the frequency domain saliency method in the opposite color space.Thus, weighted fusion was conducted.The landmark must be consistent and noise should be reduced.Optimized K-means image clustering method was then used to obtain masked final landmarks.The natural landmarks available for robot navigation applications were selected.The experiments show that the pixels extracted by the visual feature reach an average detection rate of 80%.Furthermore, the proposed method has high reproducibility indoors compared with direct matching of characteristic operators.Finally, practical robot navigation based on the natural landmark validates the effectiveness of the method. 吴鹏, 徐洪玲, 李雯霖, 等. 基于区域检测的多尺度Harris角点检测算法[J]. 哈尔滨工程大学学报, 2016, 37(7): 969-973. 钱堃, 马旭东, 戴先中, 等. 基于显著场景Bayesian Surprise的移动机器人自然路标检测[J]. 模式识别与人工智能, 2013, 26(6): 571-576.